Firms in Ontario, Germany and Australia notified us that they received an email from the purported Christos Tsikoudis looking to retain them with regards to a breach of a business loan agreement. > I need a Business/Commercial expert who can handle a collection issue. > A referral would be welcome if this is not your area of practice. 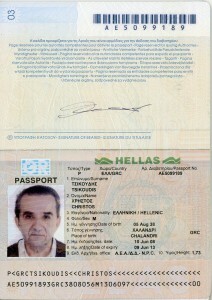 Thank you so much for your quick respond to my request.I am Mr Christos Tsikoudis. Balance $228,000.00 plus 7.75%. annual interest. The fund is part of the loan Mr Friend took from me . The point of disagreement between the debtor and I is on the interest at 7.75%.